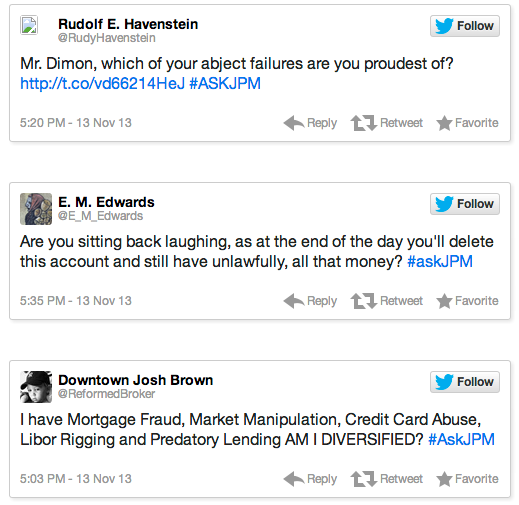 If you haven’t already heard, someone at @JPMorgan thought it’d be a good idea to hand the twitter account over to Jimmy Lee. Unfortunately, the public weren’t quite as thrilled. 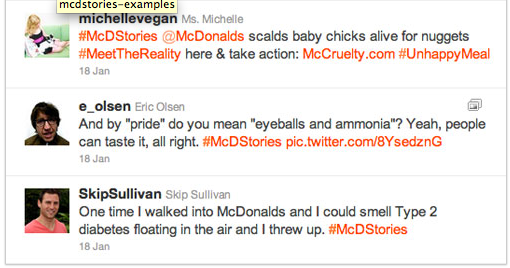 Another example of a brand offering up a platform for positivity only to be shut down came when McDonald’s promoted the hashtag #McDStories for people to tweet about their positive memories of eating happy meals as children. You can guess where this is going. Instead of the loyalists, McDonald’s got feedback from the haters and man were there a lot of them. 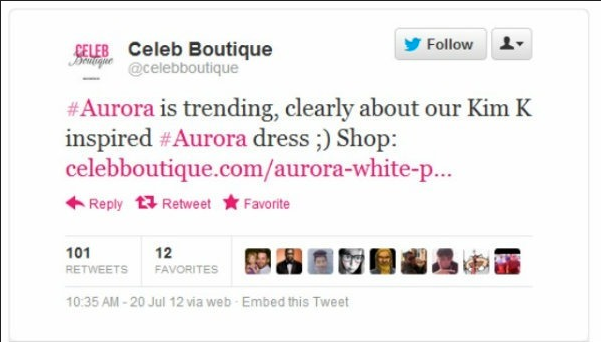 On a much more serious note, the Aurora, CO boutique “Celeb Boutique” made the mistake of commenting on why #Aurora was trending without realizing that it was because of the mass shooting that happened that night. The moral of the story here is to make sure that you do your research. This is one of what could be a very long list of instances where an employee of a major brand tweets from a company page instaed of their personal account. One of KitchenAid’s social media users tweeted a very negative tweet at the president immediately after the first debate. The tweet was an insult about his deceased grandmother. So all 24,000 of Kitchen Aid’s twitter followers saw that tweet. Luckily, the company acted quickly and followed up with an apology tweet immediately. This one is pretty confusing. Most social media gaffes occur when a brand makes a semi uninformed decision or someone makes a small mistake that ends up hurting the brand’s public perception. 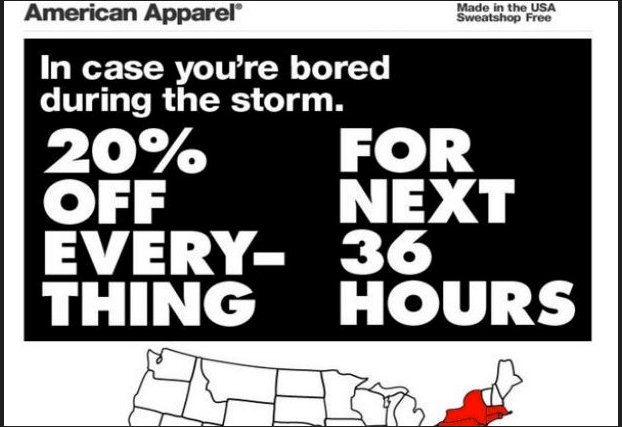 But when American Apparel created an ad around Hurricane Sandy victims’ supposed boredom during the storm. There are several untouchables in the world of social media. If this storm knocked out power to even a couple houses, then it’s going to come back negatively. Much like American Apparel capitalizing on a storm, Kenneth Cole tried its hand at tongue in cheek advertising by tweeting about the uprising in Cairo. The problem was that the tweet was tasteless and blatantly disrespectful to the people of Egypt. If you’re going to use twiter to make light of an event, make that that event is low on the scale of controversial potential. Remember, when you’re posting to your social media accounts, keep it professional and very true to your brand’s voice.